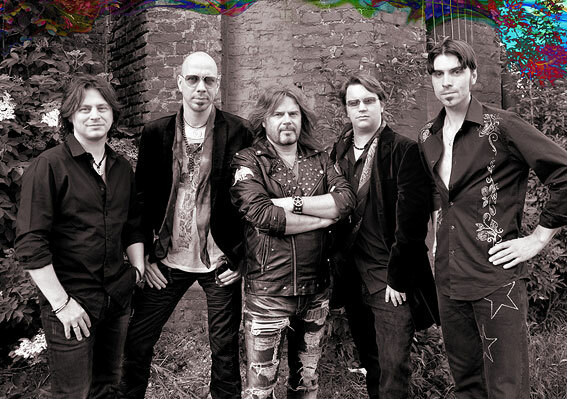 Classic hard rock in the style of Deep Purple & Rainbow with a distinctive Stratocaster guitar sound and distorted Hammond organ. Rock legends like Jon Lord and Ian Paice from Deep Purple had several concerts together with the band and were quite taken with their musicality and power. 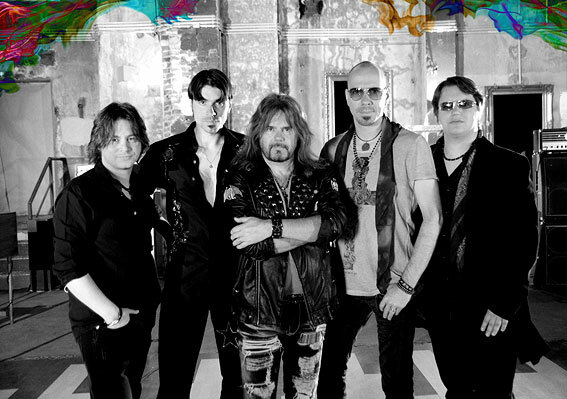 After building up a reputation as a Deep Purple Tribute Band, they established their name as an original band with their successful debut album „The Stranger Within“ in 2011. 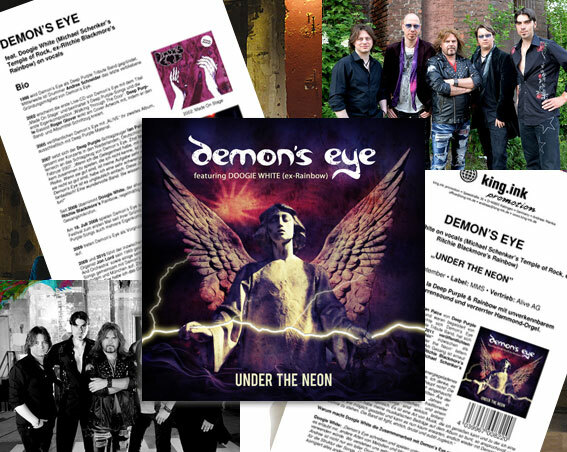 With „Under the Neon“, Demon’s Eye have now released their second album, once again featuring Doogie White, former singer of Ritchie Blackmore’s Rainbow and current lead vocalist with Michael Schenker’s Temple of Rock. 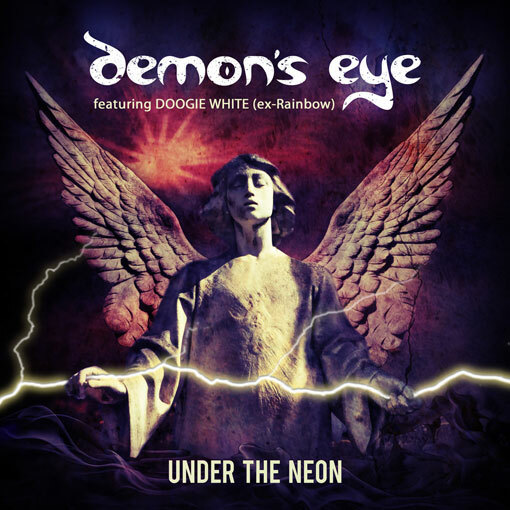 The songs of „Under the Neon“ seem to fit Doogie White‘s voice like a glove, enabling him to sing with great passion and emotion. This kind of music seems to lend wings to the Scottish singer. 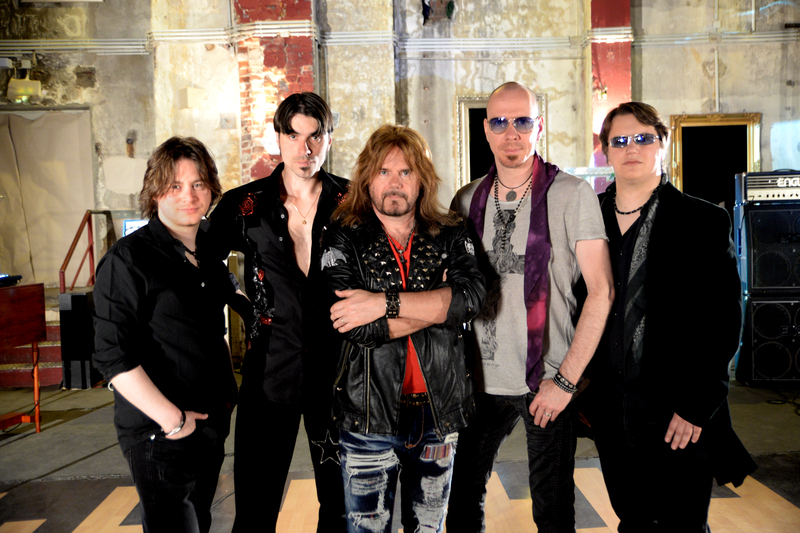 „Under the Neon“ contains everything that enthralls fans of classic hard rock bands: powerful vocals rich in variety as well as brilliant and virtuose solos on guitar and hammond organ. 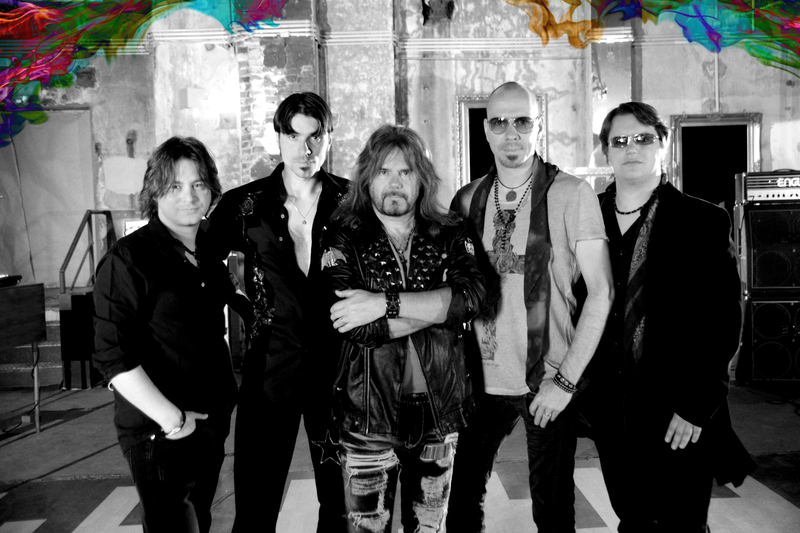 53 minutes of Classic hard rock at its best! “…In fact, the guys really managed to surpass the high quality of their first album! 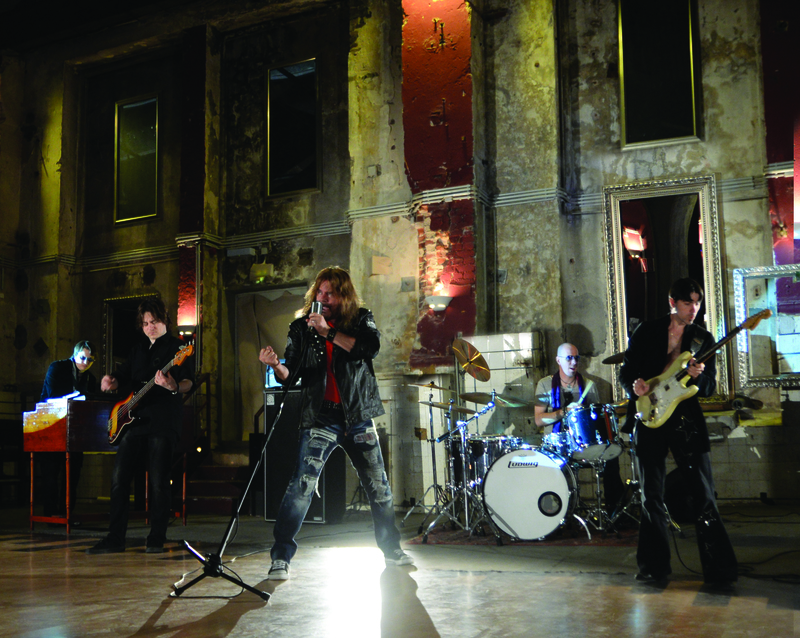 …Hardrock at its best – the whole nine yards! 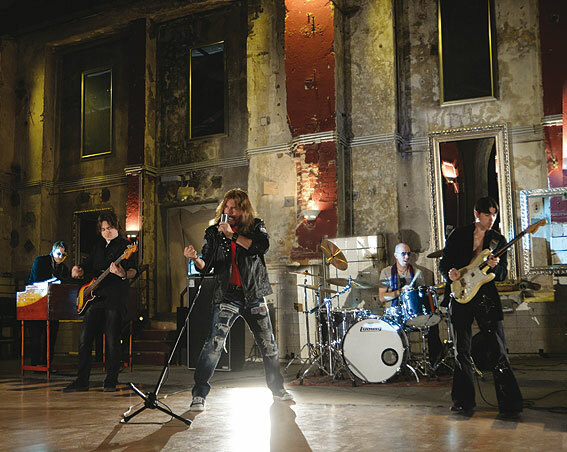 “Together with Michael Schenker, Yngwie Malmsteen, Kruk he was and still is very good – but here Doogie proves that he is a Premier-League-Hardrock-Shouter. “… Demon’s Eye’s second album actually outshines everything that the original Deep Purple have produced since “Perfect Strangers”. 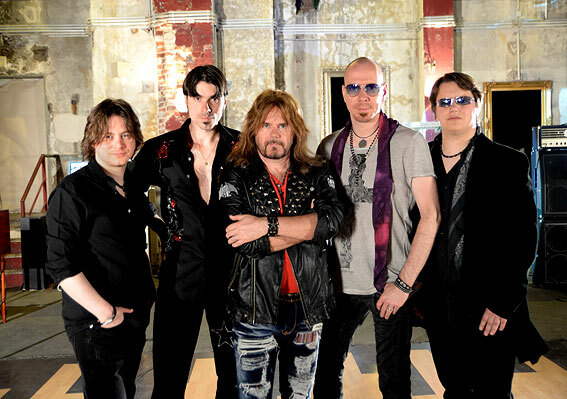 “… For me, “Under The Neon“ is the best Deep Purple – album since “In Rock“. You can use the Press photos in your publications. All photos are royalty-free for press use only.